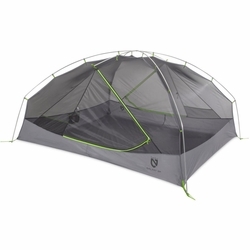 NEMO Galaxi 3P Tent. The Galaxi™ backpacking tent makes NEMO quality and innovation available to customers of all experience levels. Whether it’s your first overnight or you’re a seasoned veteran, this tent will provide the shelter you need. Designed for maximum livable space inside, using pre-bent poles and a smart and simple pole structure to increase interior volume.